A generic job application goes well with all the industries. A job application is a part and parcel of getting hired by your dream company. When you come across an advertisement, you want to get in touch with the recruiters and arrange for an interview. But before this stage, you need to convince the recruiters that you are the right candidate. So, a Generic Job Application Form is required to set you on the right track. Here are some commonly used Sample Applications that you can tailor to your needs. This is an application containing yes or no options beside particular heads. These are all about the professional skills, health conditions, experience and other achievements of the candidate. It also contains previous professional information. 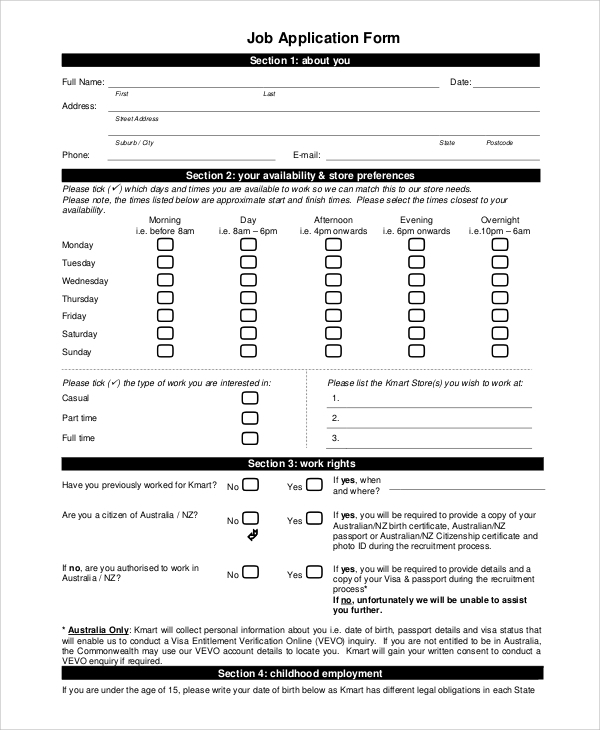 This job application has a pre-set template that provides you with the ability to customize your availability, working hours and so on. The format allows you to input all information about educational qualifications, achievements and work history. 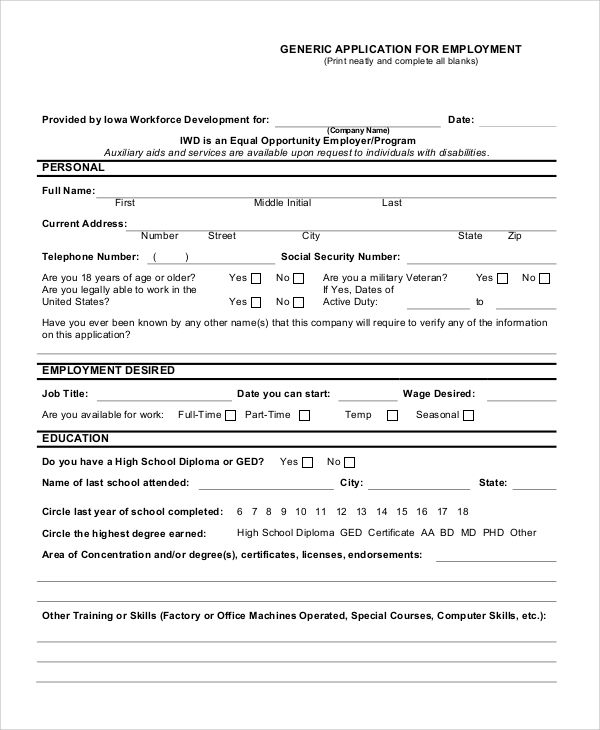 Why is a Generic Job Application Necessary? The job market is quite competitive and it is necessary to market your skills. A well-crafted job application makes your profile competitive and comparable. The recruiters can take a note of your soft skills and professional abilities from a job application. They find it easy to scan the applications and this enhances your chances of getting selected by the authorities. Apart from these, you gain an edge over the others applying for the job when you use a refined language to write the letter. The greatest benefit of crafting a powerful Job Application is that it helps people to provide certain information that are unsuitable to be included in the resumes. 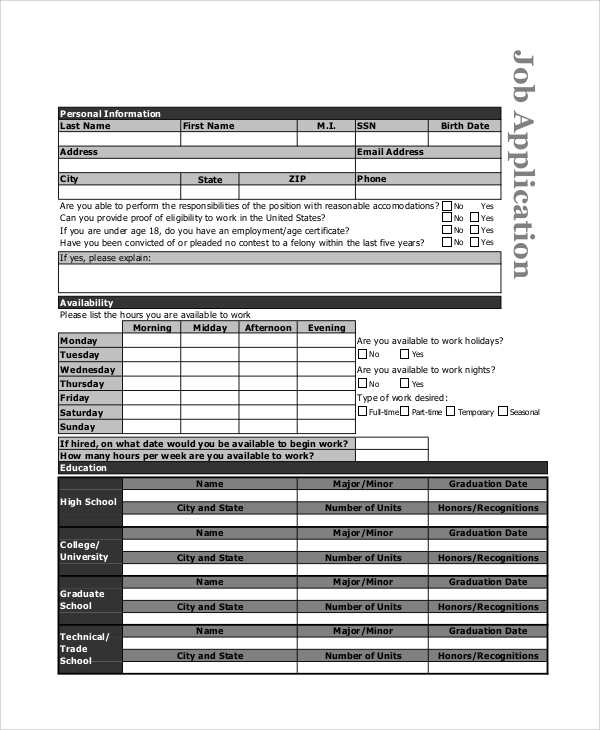 This is another variant of the generic job Application Forms that are used by employees. Here, there are pre-formatted spaces for all the heads including personal information, educational qualifications and professional experience. 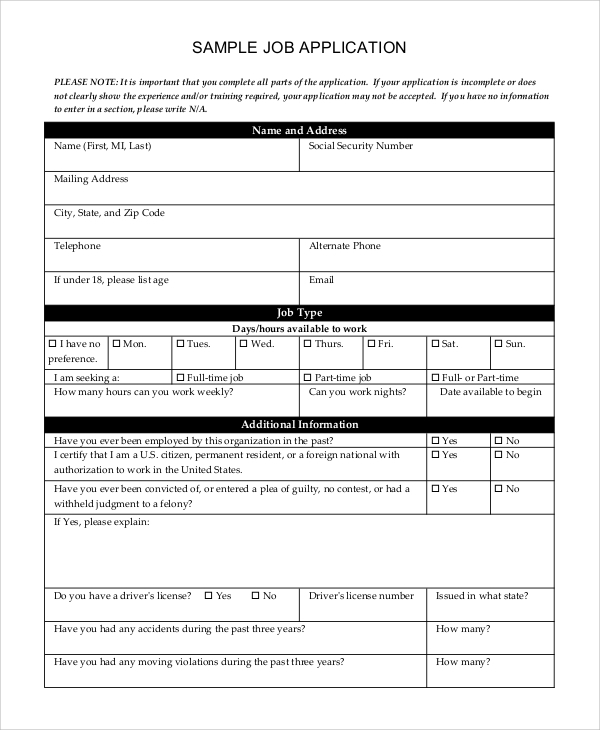 This application has a simple format with detailed information about work history, experience with previous recruiters and skills. 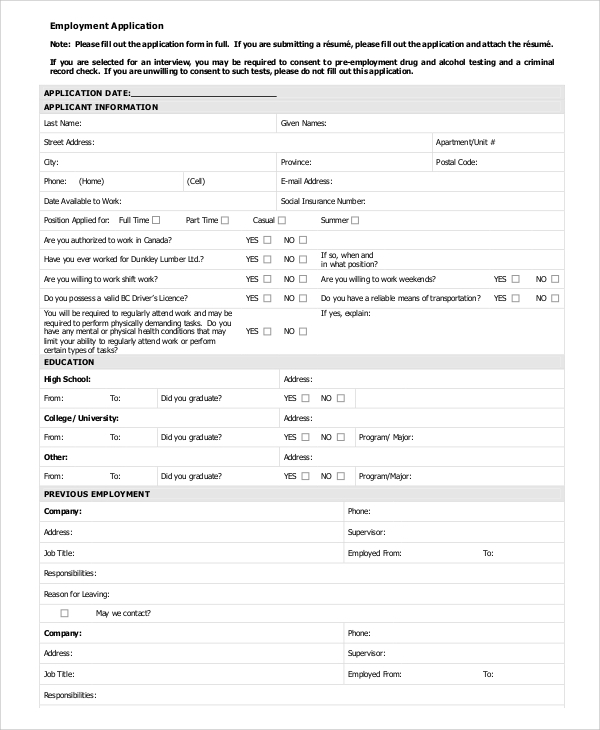 The relevant information is inserted beside the respective heads and all the details are covered in this form. 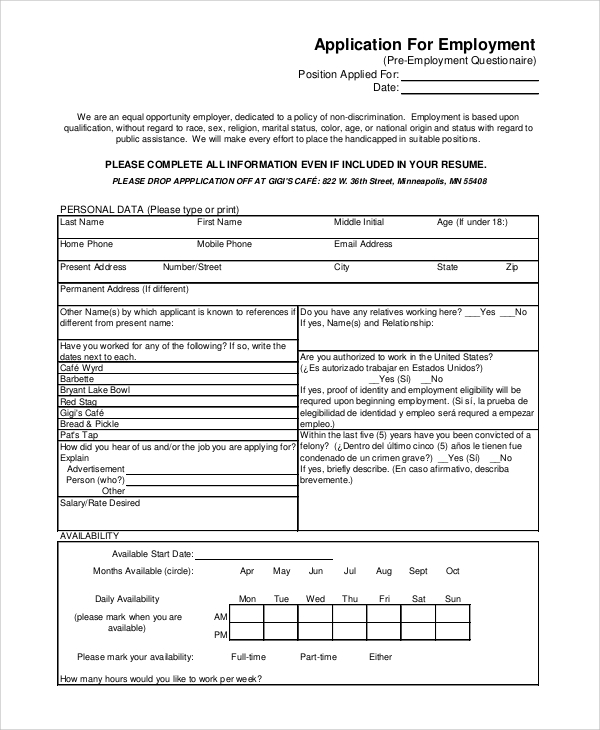 How can a Generic Job Application be more Effective? To make a generic job application efficient, you need to sell your skills and abilities. Thus, the trick is to present your achievements and benchmarks in a diplomatic attire. In a few crispy lines, you need to brew the abilities that you possess. These applications showcase your experiences and hallmarks. If you specialise in a particular aspect, you can mention it in the resume. However, before despatching the application, you need to double check the facts and ensure that there is no communication gap or misinterpretation. 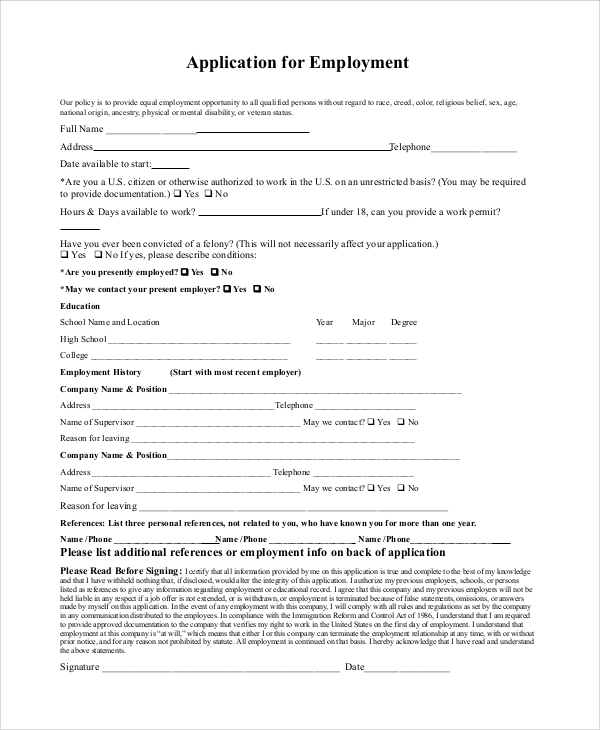 You need to use a convincing tone to write the Job Application and make sure that it is valid for all sorts of jobs. Although a generic job application lacks specialisation, you can be benefitted from it. It is powerful, convincing and appeals to the recruiters. You can check out different types of job applications on the website and check out the Target Job Applications if you need. 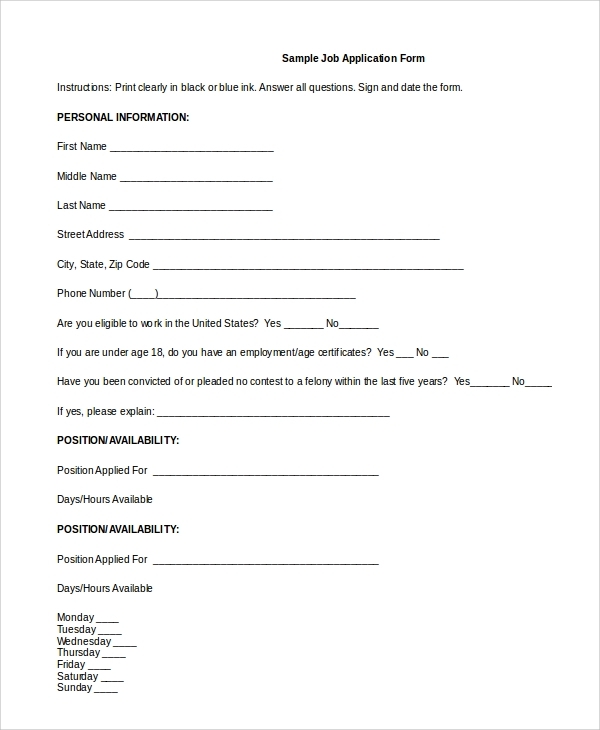 The generic job applications are ready to be customized.